The Mini Uses of the Kwik-Trench | Little Beaver, Inc. These days, everyone talks about versatility. With business owners and homeowners alike striving to bring down expenses and maximize productivity, manufacturers are pressed more than ever to back up their claims of fast ROI. This often steers the conversation toward versatility. The greater the number of applications a product can handle, the more “worth it” its purchase or rental becomes. In the case of Little Beaver’s Kwik-Trench Mini Trencher, versatility happens to be its best subject. Contractors, do-it-yourselfers, and even golf course superintendents find multiple solutions in their respective industries from a single, easy-to-operate machine. One reason the Kwik-Trench appeals to so many applications is its common-sense cutter wheel design. Where other trenchers require teeth to be welded directly to the cutter wheel, the Kwik-Trench has a time-saving bolt-on tooth system. This design not only speeds up maintenance, it also allows the operator to quickly change out teeth to match the application. Width and depth options add to the Kwik-Trench’s versatility. With 1- to 4-inch width settings and adjustable depths up to 12 inches depending on the model, operators can cater trench dimensions to the job at hand. This improves efficiency by reducing the inevitable manual labor that comes with trying to work with wrong-size trenches. The Kwik-Trench is offered in two models, the KT 200B and KT 2400B, each with strengths in different applications, giving operators the option to choose the machine that is best for the work they plan to do. The 200B is lighter and digs a shallower trench, making it perfect for jobs in inaccessible areas that demand more maneuverability. The 2400B is still lightweight and highly maneuverable, but boasts more power and can dig a deeper trench, making it suitable for jobs that require a little more brawn. A practical cutter wheel design for quick tooth changes, useful width and depth settings, and model options for unique application requirements make the Kwik-Trench an attractive solution for a wide range of people in varying industries. Landscaping contractors use the Kwik-Trench for professional edging, installing silt fences, and burying wires for landscape lighting. 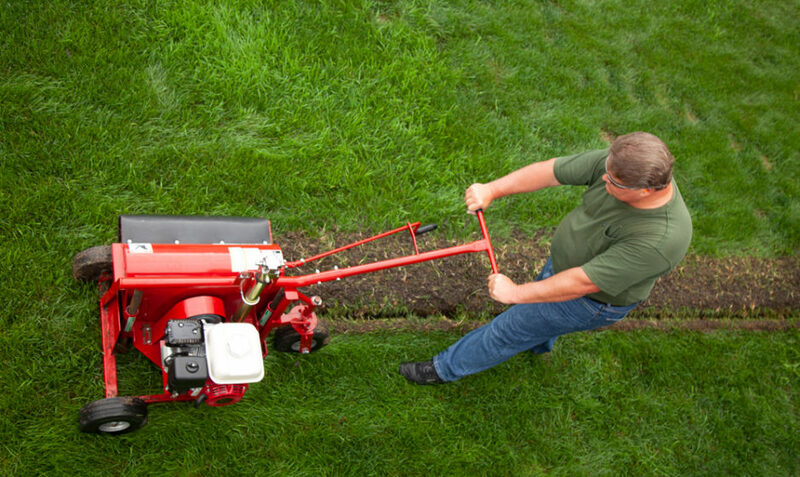 Professional contractors can also take advantage of the Kwik-Trench’s fast cutting speeds to quickly bury propane, plumbing and drainage lines, as well as low-voltage wiring for satellite dishes, cable, or phone lines. Homeowners, on the other hand, find the Kwik-Trench a user-friendly solution for the projects that often come with home ownership, such as installing sprinkler systems or burying electric dog fences. 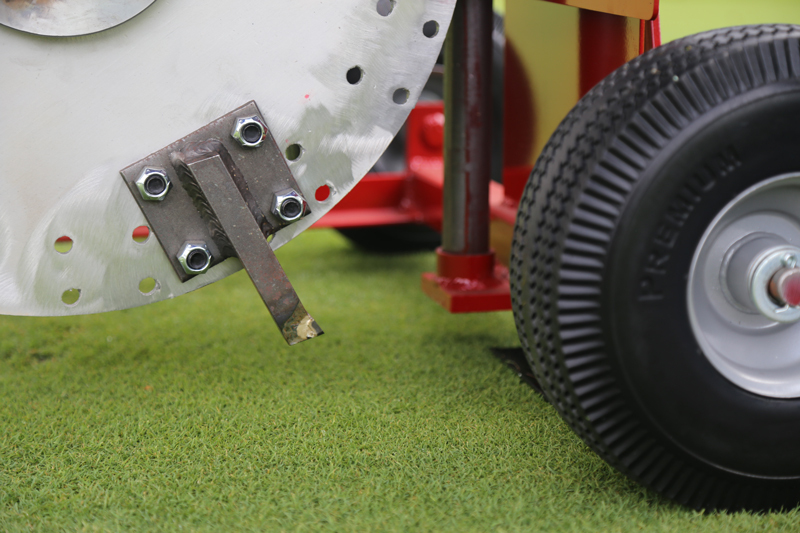 And golf course superintendents and grounds professionals can rely on the Kwik-Trench’s carbide tipped, hardened steel teeth to manage problem tree roots and dig clean trenches to perform maintenance on irrigation systems. 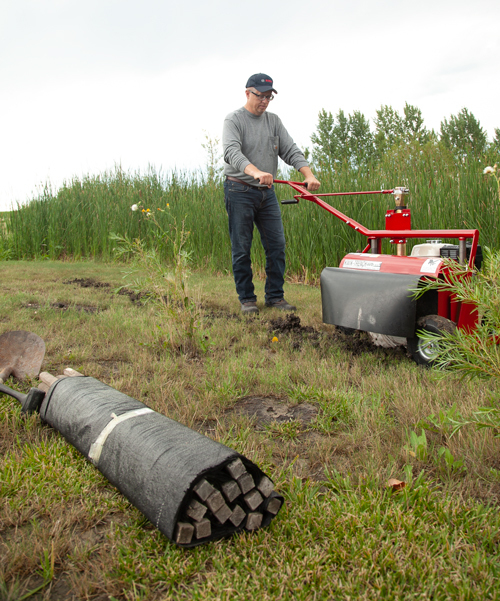 Thanks to its common-sense design, convenient model options, and wide application appeal, the Kwik-Trench proves a versatile addition to any landscaper’s toolbox, and a cost-effective trenching solution for the do-it-yourselfer. For more ways to reach your ROI potential, contact a Little Beaver expert.